We offer a variety of web site hosting plans, starting at $15 per month. Network Infrastructure Built for Reliability and Scalability. Utilizing a unique network infrastructure and proprietary routing technology, we deliver unsurpassed speed, reliability and virtually unlimited scalability. Personal attention by technicians based here in the US is our hallmark hosting service. We manage and support everything so you don't have to: one call, one point of contact. Need database connectivity for web applications to gather or display dynamic data? You need our Gold or Gold Plus Plan. They are housed on a dedicated server, configured selectively for speed and maximum power. Full access hosting control panel included. Need more? 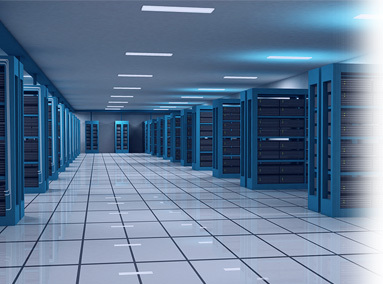 Our Dedicated Servers Plan is dedicated to only you and your site(s). Fully managed and maintained, you can feel confident you site(s) are visible and available all the time. Need even more? Dedicated servers can be combined with automatic load balancers. There's no limit to your web site or our ability to serve your needs. Are you running an e-commerce site? Our E-commerce Plan is built on a robust dedicated server, limited to a small number of sites. Monitored daily, our servers are load-balanced to ensure high availability. Full access hosting control panel included. Click for details.